I'm saying hi to you from Raleigh. I'm a bit tired, but my condition is okay. 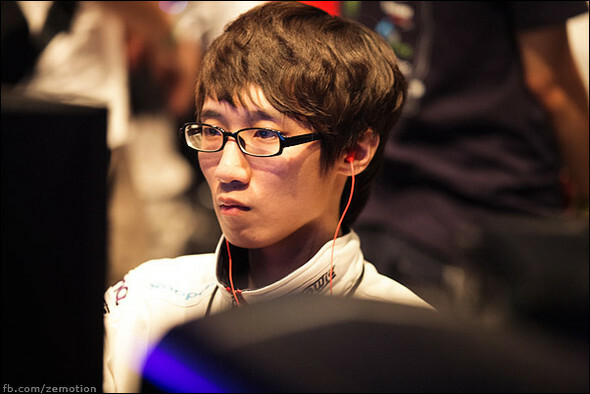 The MLG Raleigh and WCS 2013 Season 2 Champion! credit goes to zemotion for the awesome picture! "Today's victory will be determined by how well ST_Bomber performs." "We will have to get rid of ST_Bomber as soon as we can. His condition is very good ..."
- Your thoughts on making the round of 16? I am just glad I don’t have to go through the qualifiers again, so I am happy. - What was your concept during your games? I predicted the probability that my opponent would all-in was at around 80%. In the 1st set, I predicted the 2 barracks play so I was able to defend it easily, but in the 2nd set I did not predict the thor. - Did the 3rd set go as you imagined? I changed my build on the fly. Originally it was a fast expand, but I changed it as the match progressed. - Your next opponent is a protoss, what do you think will happen? Personally, I like facing protoss or zergs more than terrans. Terrans have many all-in offensive strategies that you have to be prepared for, so defending that is much harder. - Do you have any things (matchups) that has been hard for you recently? I have one. I think TvP has become a bit harder. And although I had good results in other places, but in the GSL, my results have been subpar. 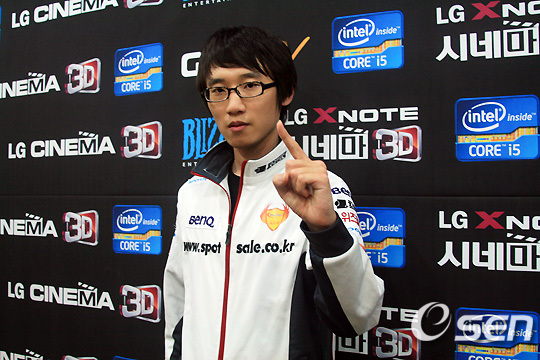 I want to have good results in the GSL. - Do you have anyone you want to face personally? In code A, I want to face MMA. In the last GSTL we lost because of MMA. In code S, I want to face Alicia, because he knocked me out last time in qualifiers. I want to thank Puma, Sound, and Clide, and Porori for helping me practice. Also I want to say that Killer helped me feel better before coming to the arena. He told me to say that. - Your thoughts on making the round of 8? I am really happy I made it. I think I had to win to make it to the Super tournament. - Did you set your goal to win (code A) from the start? It has been my goal since I got past the qualifiers. But I am looking forward to the super tournament more so than code A. 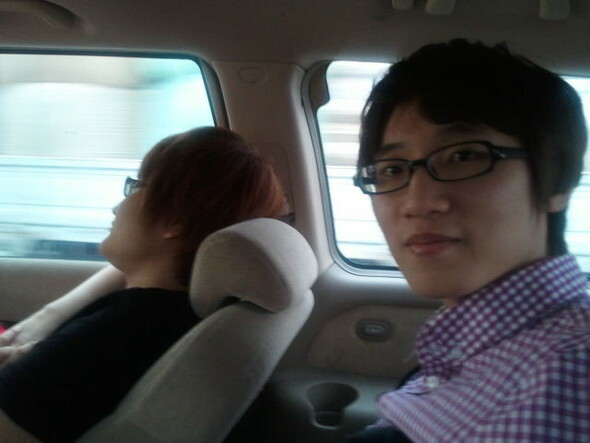 - Your opponent was a relatively new player (in the GSL) like you, did you prepare a lot for him? 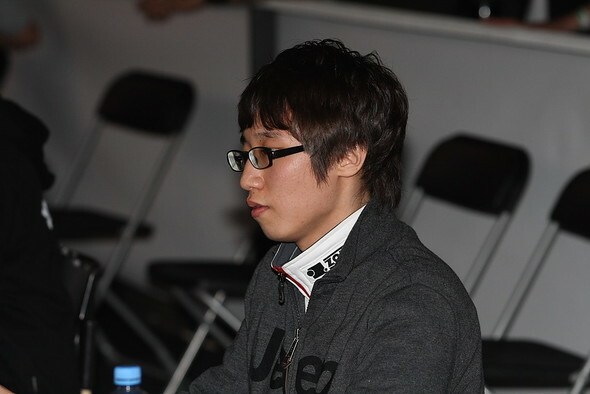 My teammates helped me a lot with my preparation, and they helped me study my opponent’s style. Because of that, I was able to grasp my opponent’s style for today’s matches. - So, was the banshee play something you prepared just for your opponent? Yes. In my practice against IM players, I purposely did not use banshees in my play to save it for today. - In the 2nd set, you got a huge win in the battle. I thought my opponent just had plus 1 to his attack, but he had plus 2 and plus 1 to armor. So I thought I needed to get to 200 population before engaging. I thought that I would not with without good EMP’s from my ghosts. - Your next opponent is MMA. He’s an opponent I’ve beaten before, so I am confident. I am looking forward to getting some payback on the SlayerS team. - What map are you most confident in? I am confident in my macro so any large map is good for me. I want to thank Squirtle, Ace, Parting, and Tiger for helping me practice. - Your thoughts on making the round of 4? I can almost taste the victory. It also feels like the super tournament is a bit closer. - Was it hard to prepare for this game? He is not an unusual player (**plays standard), so it wasn’t too difficult. - You were in a bit of a crisis (**contain) in the 1st set. I have had that kind of situation many times in practice. If that happens, most of the time, their units become spread out so I focused breaking out through one weak point. - What was the meaning behind the ceremony after the 1st set? I was hoping that if I showed a ceremony after the 1st set, my opponent would lose confidence against me. - How did you prepare for the 1st set? I designed my strategy to fit my opponent. - Who do you want to face in the next round? Personally, I have practiced a lot with aLive previously so I hope that he advances. - It seems that you are quickly rising through the ranks, any secrets to your success? I think I am practicing and preparing for matches well. I want to thank Sound and Virus for helping me practice. - Your thoughts on making the (code A) finals? My reason for playing this tournament out till the end is to gauge the skill level of the players that will participate in the upcoming super tournament. And so far, I feel secure in my skill level compared to the other players. But since I have made it to the finals, I feel like I have to win. - How did you prepare for facing Ryung? 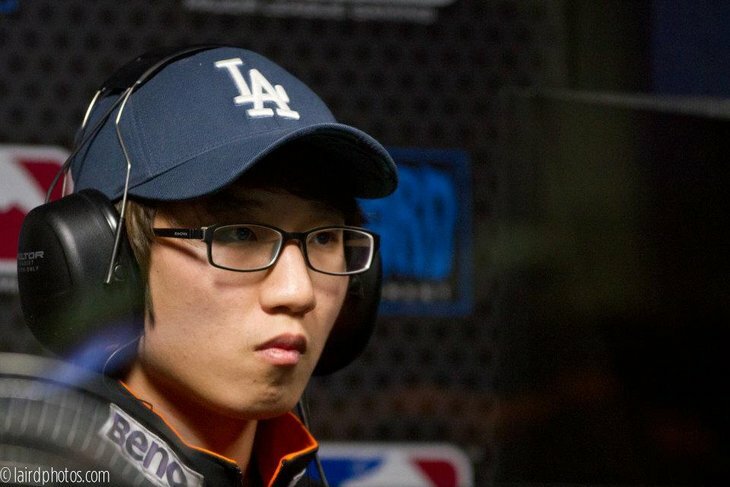 Ryung came out to snipe me both times in the ZOTAC team league and the GSTL. And although I knew that would happen, he managed to take me out both times. Ever since then, I have been sharpening my blade of revenge. - It wasn’t a clean cut victory/revenge. In the 1st set, the game went a bit awry after I didn’t finish him off when I was ahead. For the rest of the games, it is because I am still far from perfect. - Who do you want to face in the finals? Mvp, of course. I have been advancing by beating top class terrans. 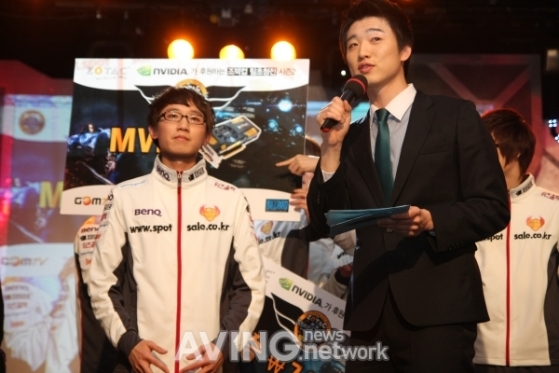 And by finishing off Mvp in the finals, I will be able to legitimize my status as the top TvT player in the world. - Does that mean you are confident? Of course. I feel like Mvp is still at the top, but I don’t think I am that far behind. - Recently, your play has been lauded, but personally, how far do you need to go to be satisfied? I want to win the Code S tournament. Isn’t it just matter of fact for progamers to strive to be the best? - Who do you want to face in the up and down matches? I must not lose in the up and down matches, so I will probably pick an easy group. Also, because knocking down a fan favorite player will be bad for my popularity, I will not be reckless with my picks. - The super tournament is soon upon us. I think my spot in the tournament is pretty secure, but just to be sure, I am going to try my hardest to take the win in this finals. But even if my spot was secure, as a professional, I always take on every match with everything that I have. - They say that your father’s support/cheering is unmatched. I think if I win code A, I will feel a bit more self-assured. Recently, my father has been analyzing my matches and giving me good encouragement through his texts. I think his observations are spot on. I want to thank TSL’s aLive, Puma, and Heart for helping me practice. Recently, the mood at the StarTale house hasn’t been so good since every player has lost in the GSL, but I will try my hardest to win for them in the finals. The next GSTL isn’t so far away, and I hope we can come together and practice hard so that we can take the next championship. - How does it feel to be the champion? It feels amazing to have gotten through the qualifiers for the First time and get all the way here to take the win. My original goal was to qualify for the Super tournament, but I am extremely happy that I was able to win and even take out MVP to do so. - How have you been preparing for your matches so far? I have been mainly focusing on figuring out my opponent’s play style and finding builds to match up well against their strategies. I think it was hardest to prepare for (T)Jjun since I had no idea what he would do. 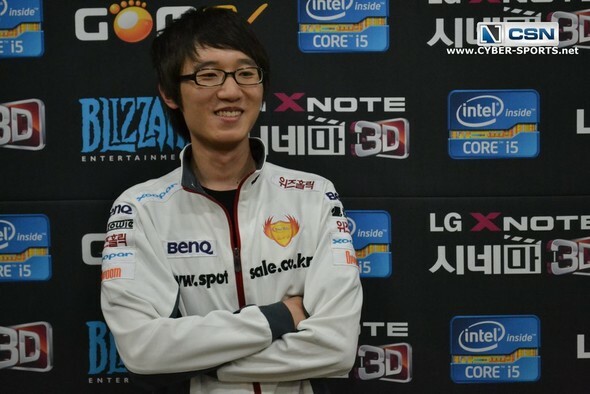 - How did you prepare for today’s match against MVP? I knew that MVP is someone who is extremely confident in his TvT matchup, so I predicted he would focus on macro oriented games. Because I am a macro oriented player as well, rather than focusing on specific strategies, I tried to be in the best condition as possible for this match. - Today’s matches ended up being pretty aggressive on both sides and rather short. Did you predict that this would happen? I planned to all-in on that 3rd set, but other than that, I predicted that all the other games would be long macro games. - Today, it seemed as if your play was one step ahead of your opponent the entire time. Other than my round of 16 match, I have had only TvTs throughout this tournament. Because I was able to play so many TvTs, right now, I have a great feel for that matchup. MVP only played TvT in the semifinals, so I feel like I was definitely at an advantage coming Into this match. - If you get Into code S, who do you want to face? I have played a lot of terrans recently, so I want to face some protoss or zergs. - Do you have any players that you look up to, or consider your rival, or you worry about? I think all of the former champions worry me to some extent. 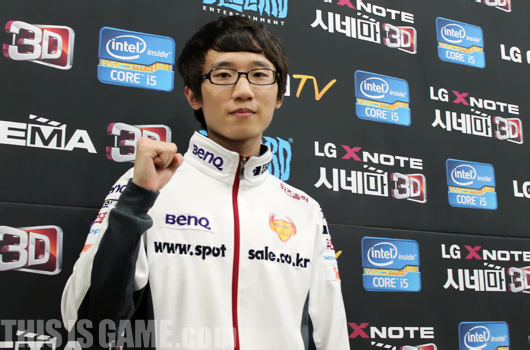 And I believe I can still learn a lot from MVP and I believe he is still the best. - You picked (T)Lyn and (T)Ensnare to be in your up and down group, any reasons? I have been playing and preparing for TvTs so long that my feel for other race matchups are a bit down. And amongst the terran players (in the up and down), I just picked two players that I don’t have particular attachments to. - Your goals going Into the up and down matches? I don’t even have 1% of doubt in my mind that I will lose. I guarantee I will win 2 to 0 and advance. The New GSTL season will be soon and this time, my team will definitely win so I want to ask all the fans to cheer us on. -	Your thoughts on making the round of 32? I had to face my former teammate (**from estro) starting with the first match, so I am not that happy about it. Since I beat Killer, I will try to win the tournament on his behalf. -	Your round of 32 opponent may be Nestea. I think my bracket luck isn’t so good. Of all the players, Nestea was the one player I most wanted to avoid, but since that is the case, I believe as long as I can beat him I will be able to win the tournament. -	In the first set, your stim upgrade was canceled (**by Killer). I thought my build was favorable for me, but when that happened, I panicked a bit. I am glad he wasn’t aggressive right after that happened. -	In the 2nd set, your nuke attacks were impressive. I wasn’t in the best position at all times, it definitely was not used as a ceremony. -	It looked like you tried to avoid a large engagement. Protoss can reinforce their units very quickly, so if you lose one large engagement, your main can be destroyed. This is probably the same reason as MVP when he played so safely in his match (**against Creator). -	Your recent record is very good. I have been in obscurity for a while, but I believe I am finally in the spotlight. I will play even harder in the future. I feel like this is my time. -	In this season, big name players have been falling. I believe ‘this is my chance.’ I hope Marineking falls quickly on the otherside of the bracket. -	You will be participating in the MLG in a few days. I am thankful for the invitation. 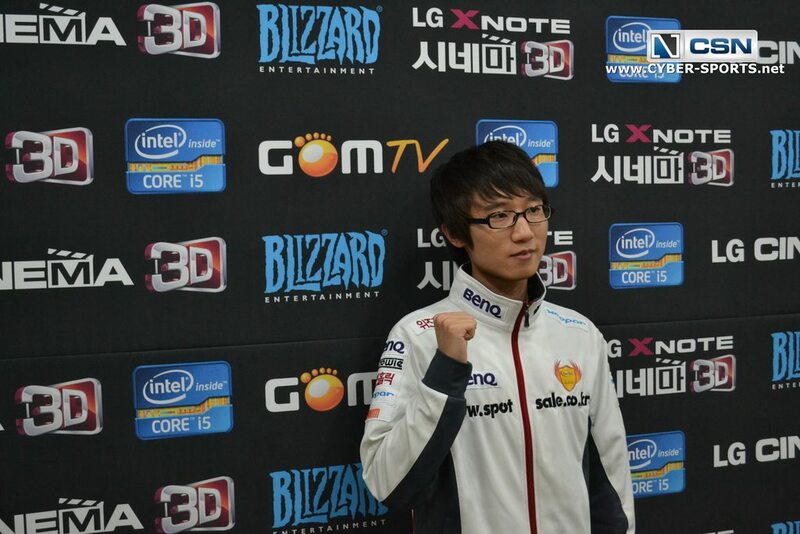 I was able to avoid the preliminaries for it, so I am happy (**he and the other Korean players were seeded). I will make sure to play great games. -	Did you ask squirtle or Ace who participated in the IEM to give you any tips? I did. But I don’t think it helped that much. (laugh). -	What is your predicted placement at the MLG? I think I can at least make the round of 4. I don’t think there are any players that I am really afraid of. I want to thank Ace, Squirtle, Tiger, and Parting for helping me practice. JoyGear and BenQ have increased their sponsorship for our team so I want to thank them. JoyGear has come out with a new mouse called ‘Mico’, and after using it, I think I like it. I hope that many people can come to use it. - You advanced first in your group. How do you feel about your first entry to the round of 16? This was a very difficult group. I am glad that I could come out in 1st place. 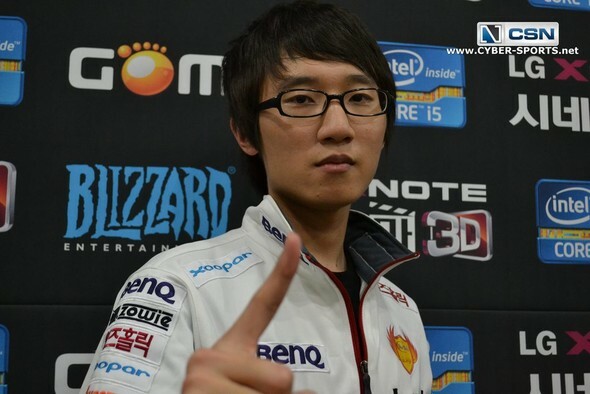 But there was 2 protosses in the group, so I did somewhat predict that I could get out 1st. -	How were your games in sweden? I am not picky about protoss players, because they all feel the same. I just liked it because I didn’t have to face many terrans. 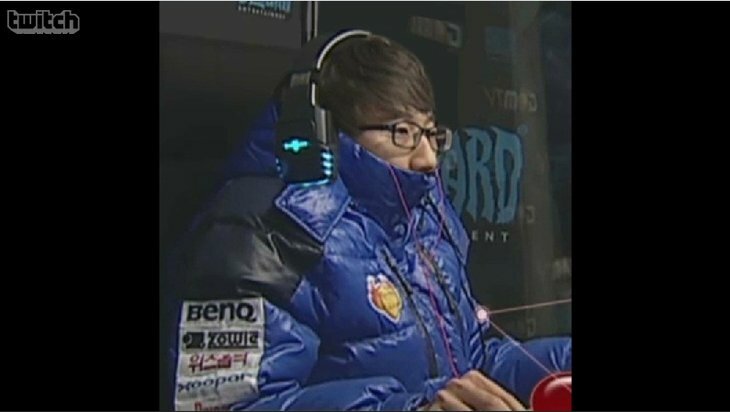 -	Your next opponent is a terran, Polt (Optimus). 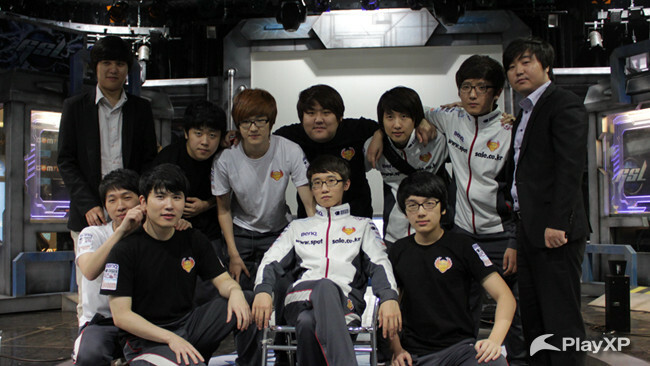 Actually, I didn’t want to face a terran so I thought about getting out of the group in 2nd place. (laugh). But I know that there wouldn’t be any meaning to advancing if I didn’t get to face great players. -	What have you learned from going to foreign events like DreamHack? I think the atmosphere is extremely different from Korea. I feel like the fans are more active and fired up for the matches, which makes me want to participate in at least one more. -	You went all-in against MC. Was that planned? I face MC often on the ladder, but I have not shown him this build that I used today. I think he reacts distinctly to the 2 barracks so I faked him out. And he did exactly what I predicted. -	There is talk that you may be going to this MLG. There is nothing decided yet. The event and the GSL finals seem to overlap, so if I make it to the finals, I will be focusing on the GSL. -	You must have been looking forward to a match against Kyrix. How did you feel when you faced him in the winners round? 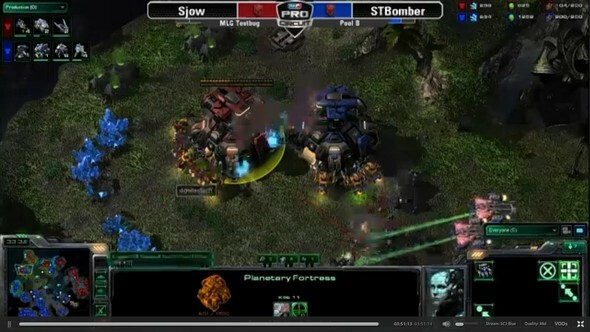 I don’t really know how to judge the Zerg vs. Protoss matchup. So I didn’t really care who I had to face. -	You kept your code S spot, as a former code A winner, tell us the difference between the two levels? I don’t think there is that much difference. But, I do feel like there is a larger percentage of great players in code S. I think I can keep this spot maybe for 6 months or a year (laugh). It feels like it will be difficult to fall. -	Your goal for this code S? I think if beat Polt (Optimus), I can get to the semifinals pretty easily. But my first goal is to beat Polt (Optimus). I want to thank Squirtle and Trickster for helping me practice. I also want to say happy birthday to Squirtle because it is his birthday today. Squirtle will be leaving for the NASL tomorrow so I hope he can do well. My goal was the semifinals when I started code S. So since I have not gotten there yet, I will try really hard to get there. 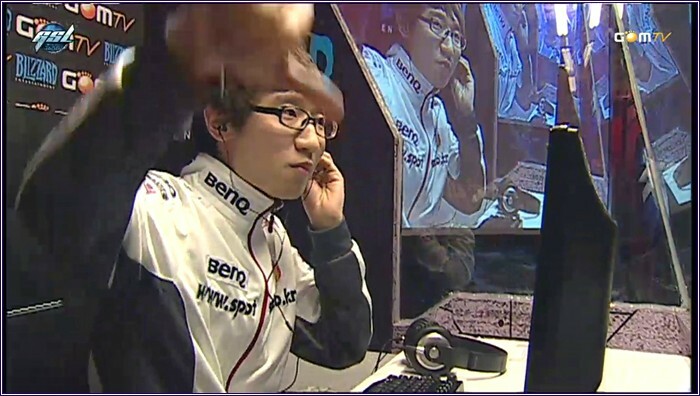 - Were you nervous at all facing Polt (Optimus)? I wasn’t nervous at all. I have even beaten MVP before so I had no worries for today. - In the 1st set, you showed some air play. I ended up having more vikings than usual so I ended up doing something unusual, I felt like that may have resulted in me not having much ground units, so in turn it worked out for me. - Did you get upgrades, expecting a battlecruiser fight? I predicted that could happen, so I got my upgrades earlier. - Was your 2nd set hellion drop trying to end the game? I was trying to hurt him, but my opponent’s build was bad against it. I was lucky. During the game, I did not know he had made a mistake. - You will be facing Byun in the round of 8. I don’t like TvT either, but it’s not like I don’t have confidence in it, so it will be ok.
- Why is TvT difficult? A lot of the match comes down to a build order fight, so even if you are much better than your opponent, you could be far behind due to your build. I don’t like that. For example, I don’t think I just won that last 2nd set match because of my skill. 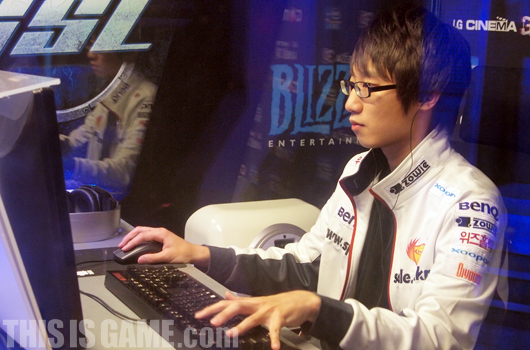 - The GSL Oct. final will be held at Blizzcon. 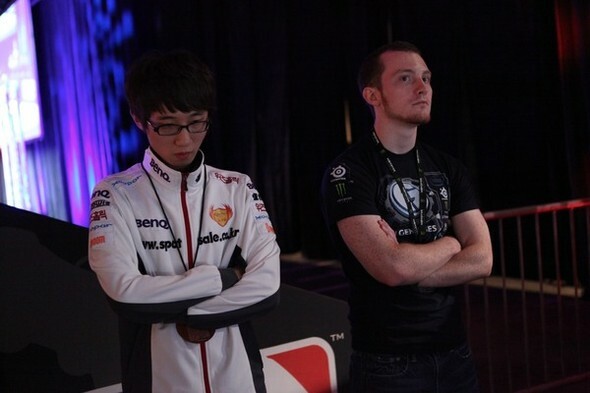 I didn’t get to participate in MLG Anaheim, and since it will be held once again at Anaheim, I want to go. I want to participate in both events, but I don’t think I can get to Blizzcon because I don’t have enough points. I will try to make up for not going to MLG by the GSL. - Who do you want to face in the finals if you get there? I feel like NesTea will be the one I will have to face. I don’t think there is anyone on the other side of the bracket that can beat him. If MC can beat NesTea and get to the finals, I will thank him. I am not particularly confident in my TvZ. - Your ambition for the team league? Of course, I want to be active. But with 2 wins and 3 losses, my win rate isn’t too good. - Your father seems like he cheers you on through twitter pretty often. He also texts me a lot, and he knows enough about the game to give me solid advice. I want to thank him. I want to thank IM’s Yoda, Happy, TSL’s Heart, my team’s Virus, and Sound for helping me practice. I also want to thank my coach for helping me so much during practice. -	You just got 3 kills for the comeback victory. How do you feel? Ace got the 1 kill after we were down 2:0 so I wasn’t under as much stress. I want to thank Ace for that because I was confident that I could get at least 3. -	You have not had great results in the GSTL so far, you fixed that with today’s performance. I have been sorry to the team and the coach because I have not performed well in important games. I am glad I was able to be a part of today’s win. -	In the 5th set against Line, you showed off a 2-port banshee play. I used it in a preliminary match before, but this was the first time I used it during a broadcast match. An overlord spotted the build before I got started so I thought it began poorly, but I was lucky that it wasn’t blocked very well. -	How did you feel about the 6th set against Puzzle? I knew that Puzzle would be sent out as the sniper after I had won my match. Puzzle coming out to play against terran just played right into my hands. He ended up doing an all-in which I blocked without much losses and I was able to win after that. -	Were you not behind after your attack failed in the last game? I didn’t have siege mode researched yet. But I feel like being aggressive early in the game was good right there. -	You have been on a winning streak. I did not know it was 7 wins in a row. If I look back at the games, I feel like I got lucky in many aspects. -	You will be facing NSHoSeo next. 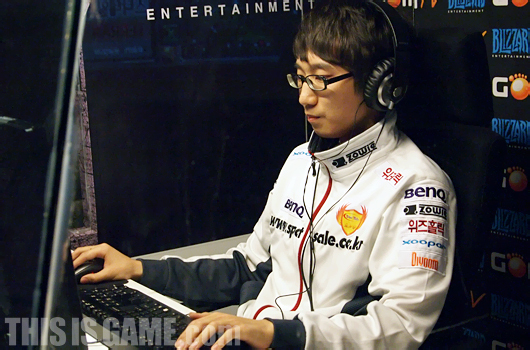 I know that NSHoSeo is known for having strong protoss players. But I am confident against protosses so I will try to beat all of them. And if they don’t send out protoss players, it will be even easier. -	Do you have any players you would like to face on that team? Sage, because I am pretty good friends with him in person. Since he had all-kill in his last match, I will make sure to burst his bubble. -	It looks like it will be a battle for game win margin (**Games won/lost will be used to break ties in the group stage, similar to goals in soccer). The 3 teams tied at the top are all strong teams so it is hard to predict but, I believe that our team will come out as 1st. We have the most variety of players so I believe we have the most advantage in this GSTL. I want to thank Byun for coming out first. 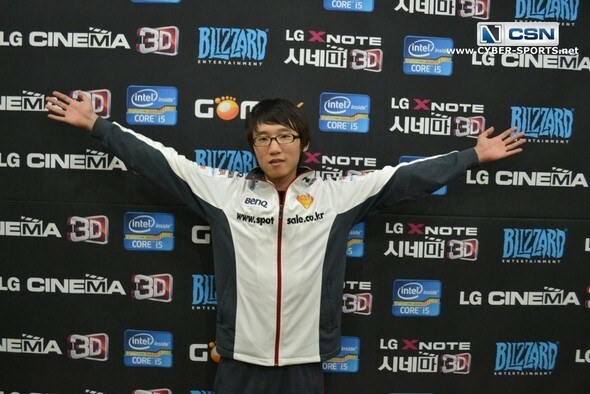 He is really good and I hope we can have a fun match in the GSL. I doing a lot of ceremonies today but it was because our team was losing, so I hope the fans can understand. Add me please, easily top3 Terran in the world! And thank you for the video, Asha! I've added it to the OP and added "Videos" to the "Replays/VOD's" section. Anyone who can 4-0 (or 8-2) White-Ra is ridiculous. Count me in. Oh yes, we should have VoD's of this listed too! 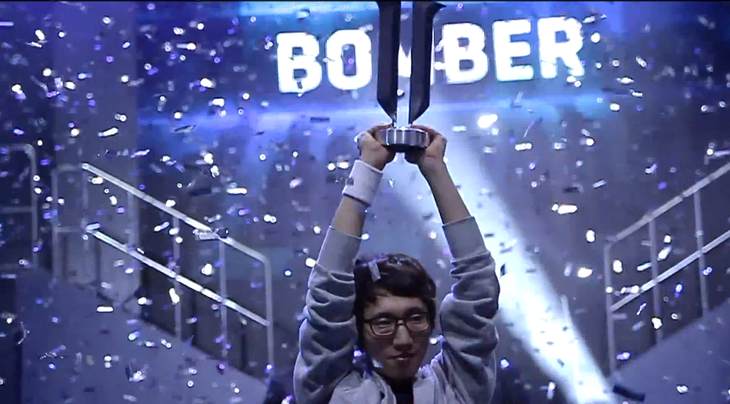 ... And to absolutely no-one's surprise, Bomber defeats IMNuts 2-0 and advances to the Ro8! Smashed him completely, how splendid. Add me! Had the pleasure of playing him on korea, huge honor. Very polite. I first saw this guy vs White-Ra and he played REALLY solid. Looking forward to seeing him advance really far. 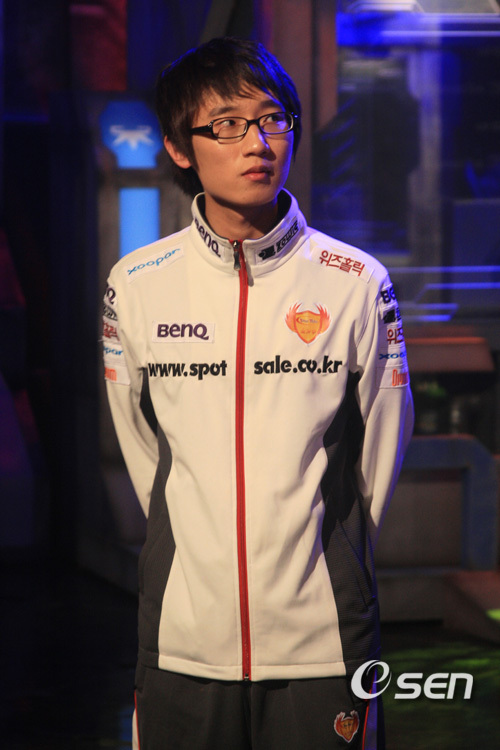 Definitely one of my favorite terrans to watch. Sign me up. He's incredibly good. Ayame and Tempest have been added to the memberlist. Wow i have never seen that theres fan club for Bomber too. 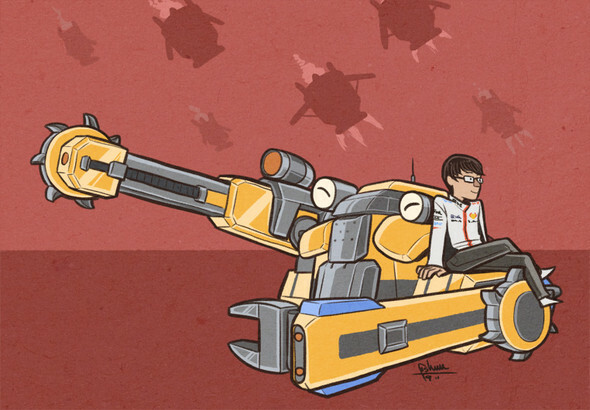 One of my favorite Terran player! Sign me up!! !